The park faces to the west and was planned to help preserve open space, create a neighborhood focus, and be a jewel in the Seattle park system. 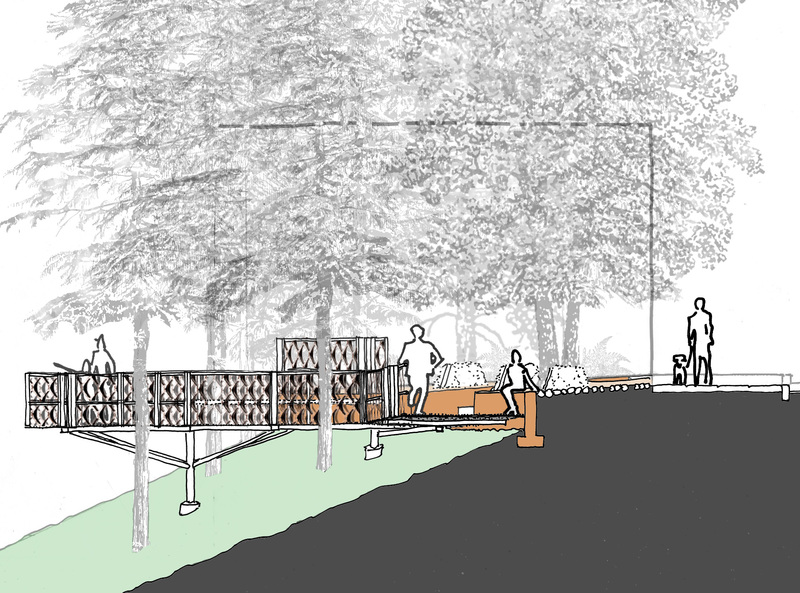 The platform extends from street level over a steep hillside and overlooks a native plant habitat. Nate Cormier and Mark Johnson, then of Jones & Jones Architects and Landscape Architects, designed the park in collaboration with the community. The Viewpoint makes available a panorama of Beacon Hill, downtown Seattle, Elliott Bay, Olympic mountains and the sunset for everyone to enjoy. The red lines – the sunset directions – indicate how the basalt stones line up with slots in the railing to marking the setting of the sun throughout the seasons. 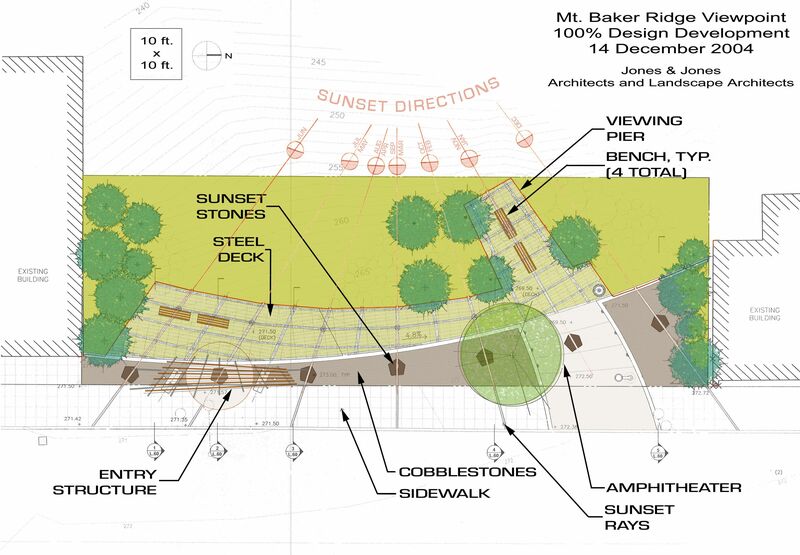 The park as a whole was conceived of as a sunset-marking instrument.